If you want to invest in ergonomic seating for your company or home office in Atlanta, Georgia, then turn to NorthPoint Office Furniture. We are a small, family-owned and -operated company that has been serving Metro-area homeowners and businesses since 1994. At our local showroom, you will find a large selection of new and used office furniture pieces that are sure to meet all your office needs, including desks, conference room furniture, and filing cabinets. 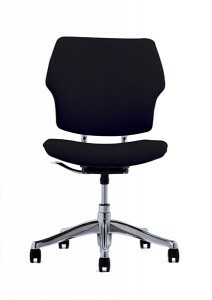 We also carry a variety of chair options, including ergonomic seating by Humanscale, one of the top manufacturers of office furniture and accessories that are designed to improve comfort and productivity in the workplace. Gel seat cushions – Because gel doesn’t compress, it supports the body better than soft seat cushions. Invisible recline and adjustment – These chairs use the laws of physics and the user’s body weight to determine the right recline and tension, so no manual adjustment is needed. Arms attached to the back – Chair arms affixed to the back rather than to the seat allow you to move freely while your arms remain in a comfortable position. Materials that are built to last – Humanscale uses scratch, tear, and chip-free materials to ensure their products don’t deteriorate. When you come to our conveniently located showroom, you will be able to visualize how your new ergonomic seating will look in your Atlanta, GA, office. You can also test the comfort level and examine the quality. What’s more, we will make recommendations on the best pieces to meet your needs, as well as offer suggestions on how to fit the furniture in a given space. For more information about ergonomic seating by Humanscale and other office seating options available to customers in Atlanta, GA, please call NorthPoint Office Furniture today.